Reduce the pain- know your market. Here’s the conundrum, artists produce an amazing amount of work every year, but only a small amount is ever purchased. Of course, some of that art is not intended for sale, but a vast amount is. What’s going wrong? Why are so many artists out of tune with what people want to buy? Obviously, we don’t want to see art produced to a ‘marketing’ formula, but all that creative energy should be getting some reward. We even see art being offered at a price that’s below the cost of the materials used to create it. Something is out of balance here. Imagine if the vast majority of books written were never read, but that’s what’s happening with art. I guess the immediate reaction is that all art should come from the artist’s imagination, be totally original and not be driven by market demand. However there are successful artists out there, some earning significant amounts of money from their art; and they do seem to be aware of their market and yet still produce highly original work. Maybe people don’t ‘appreciate’ the range of art on offer, and the hard work the artist has put in to create it? Although all artist want to be appreciated for their work, I think it’s more a case of artists not being aware of what role art plays in all our lives today. We’re not talking about art in public galleries, where its role is clearly defined, it’s the art in people’s homes or places of work where the real market is. It’s the art that people choose to live with, to see and enjoy every day, and, unlike in the fifties and sixties, they don’t all want the same (green lady) pictures. They want art they can be proud of owning, whether it’s originals or prints, and they want to ‘refresh’ their collection as and when their circumstances and locations change. Yes, we have to accept that art for most people can be as much a ‘disposable item’ as their sofa or carpet. But the good news is they will buy more art during their lifetime than previous generations did. 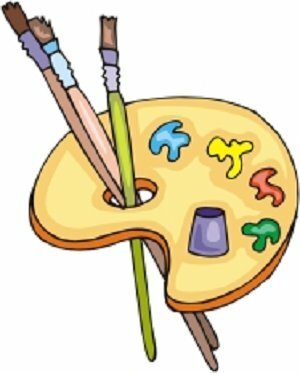 So, how does an artist find out what type/style of art people want? Ask them is the obvious answer. Speak to your local gallery and they’ll soon tell you what doesn’t sell. In fact, finding out what doesn’t sell is probably the most important bit of research any artist can do. But be aware that what doesn’t sell in one area/country might prove popular in another. It’s understandable that artists don’t want external pressures when creating an artwork, but if you hope to sell it you do need to be reasonably confident that someone might like to buy it. Another interesting aspect of ‘knowing your market’ is how big to make your art. Only people in big houses have the wall space for big art, there’s even a practical aspect to defining your market! So, like it or not, if you want to earn money from your art, you have the same pressures as the car designer, fashion house or wallpaper producer. If the public don’t see a value in your ‘product’ they won’t buy it. © 2014. Picture Window theme. Powered by Blogger.